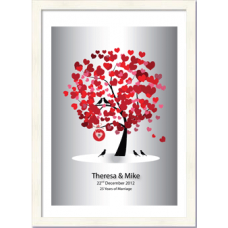 Please tell us any additional words you would like on your print and if you would like a heart tag inserted. 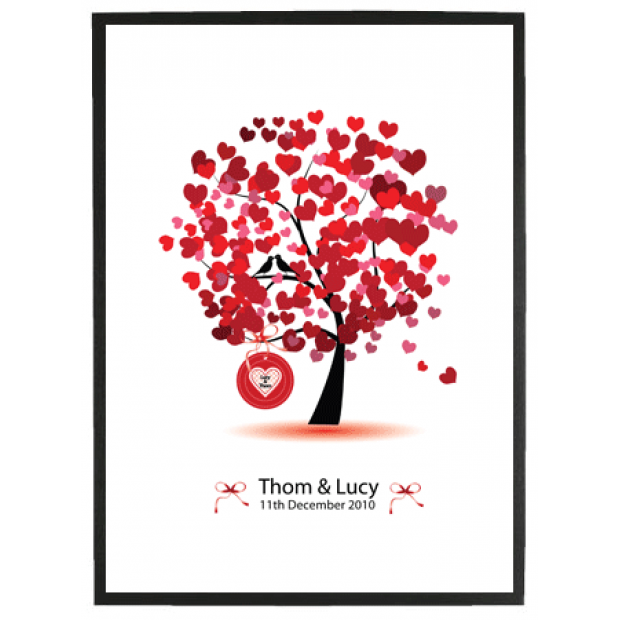 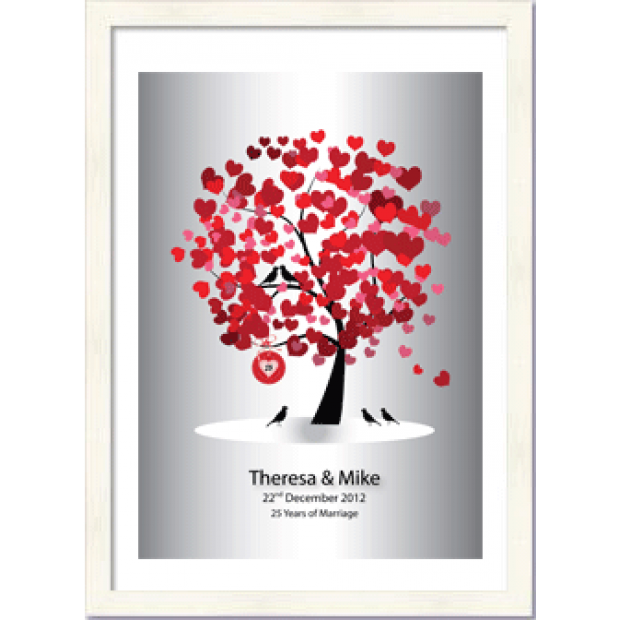 A true picture of love, a tree full of hearts, a wonderful gift for those celebrating their love. 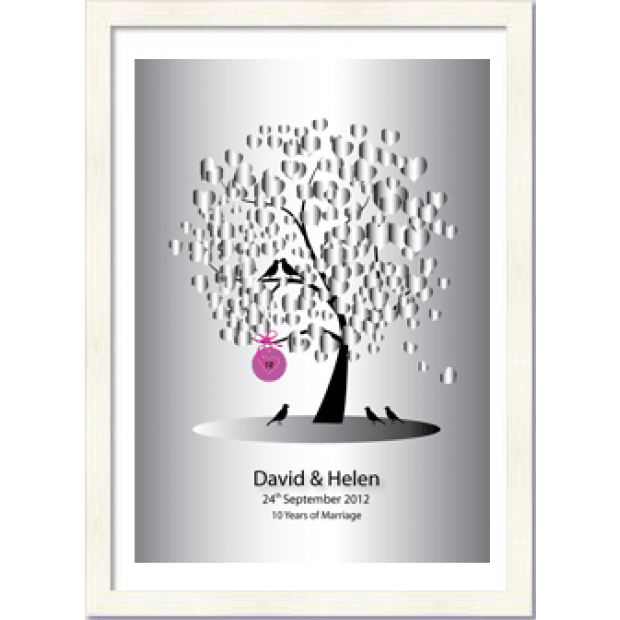 An A4 glossy print, in an A3 black or white frame with a neutral colured mount. 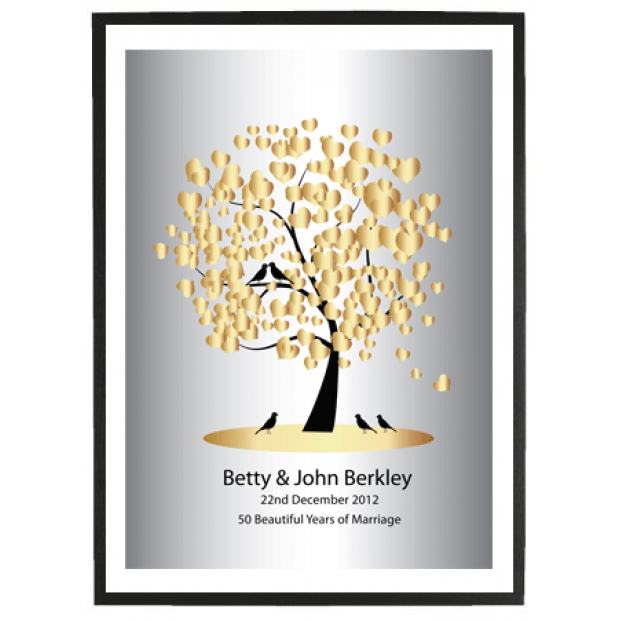 The perfect gift for that milestone anniversary, Silver or Golden wedding.